Sorry if a few of these are a tad blurry. We were having humidity issues and the lens kept fogging up! I have a great way to start off your week. 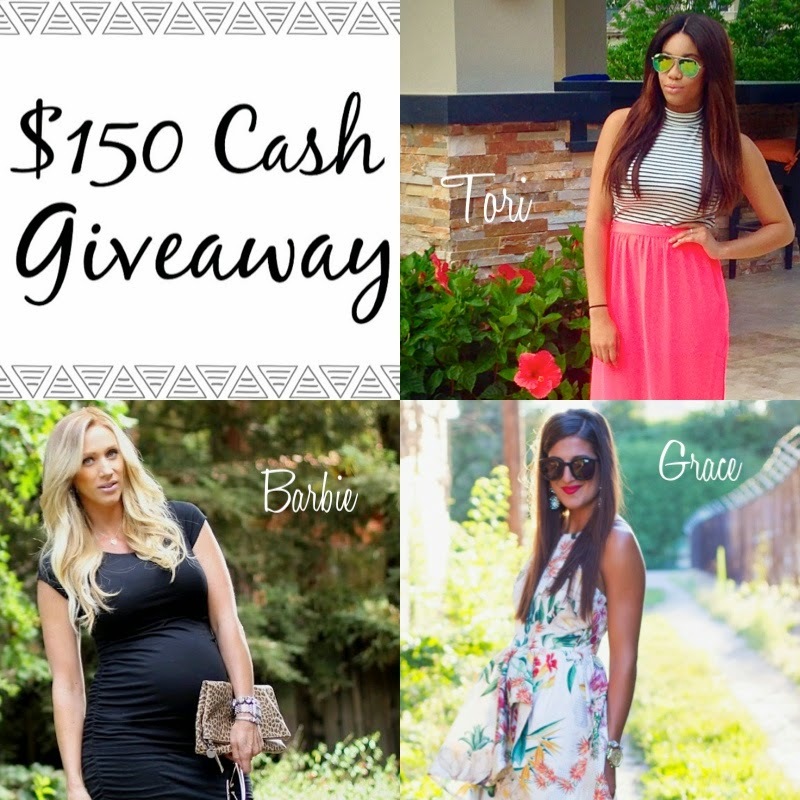 I've teamed up with some beautiful bloggers to bring a $150 cash giveaway to two lucky readers. 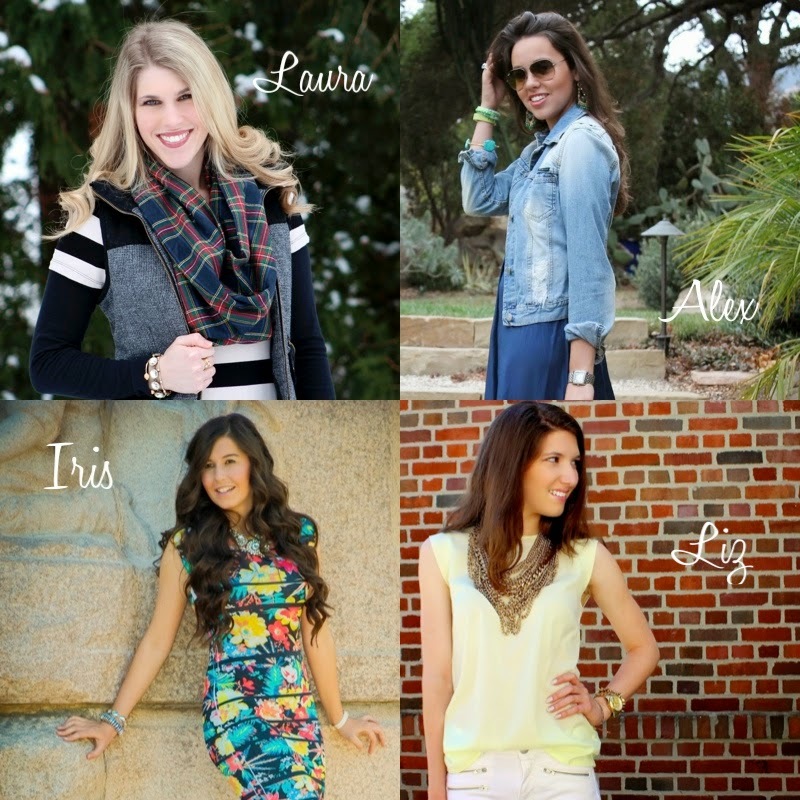 Each winner will receive $75 cash from all of us! After you enter be sure to check out each of the other lovely ladies involved. 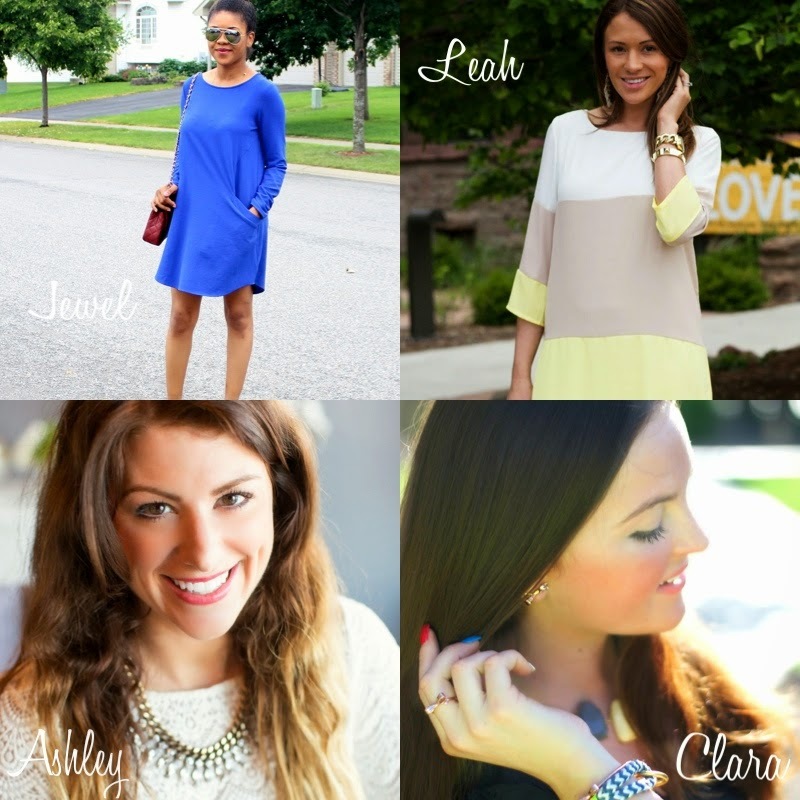 And today is the last day to enter the $25 gift card to Kendall Jane Boutique so make sure you enter here! You look so cute, love the print of the top and gorgeous bag. If you get the chance, please share your amazing post on my link-up today. you know i LOVEEE mint and love it more on YOU! Haha omgsh I had the same issue with my camera the other day--it was making me crazy :) these photos are still so cute--mint is just everything! P.s. so entered the giveaway--fingers crossed! Such a pretty top! And I love the sandals too! So cute! 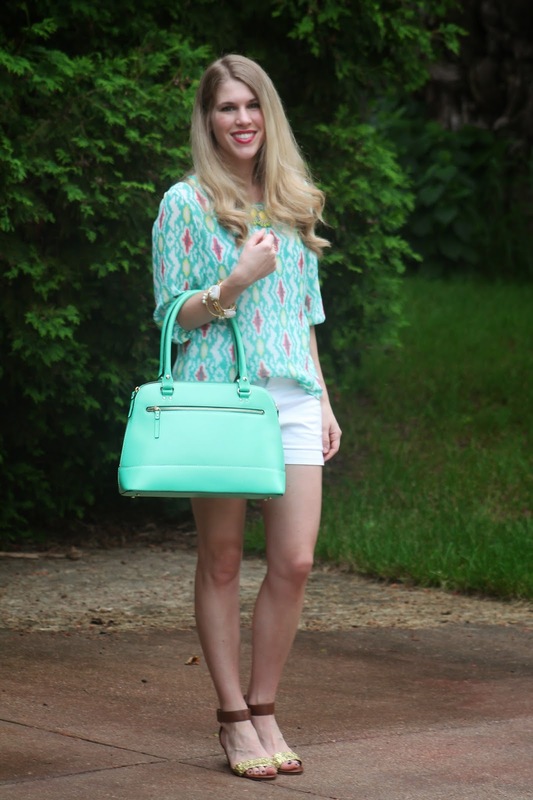 I love how bright and summery the top is and the purse matches perfectly! I will be forever envious of your gorgeous mint bag! I must say, even in crazy humidity your hair is still looking amazing - lucky! This top is one of my favorite of yours, so cute! Thanks for linking up! I love this top! Both the colors and pattern are very cute! OMG Laura! Mint looks fantastic on you. I am absolutely in love with the top and the bag..wow. Stunning. I LOVE your top! And that mint bag is to die for :) I really need to look into getting some more purses. Great look! I love your bag, it's such a pretty color!! I'm stoping by from the #HowISummer Link Up! Great outfit, I love the bag! 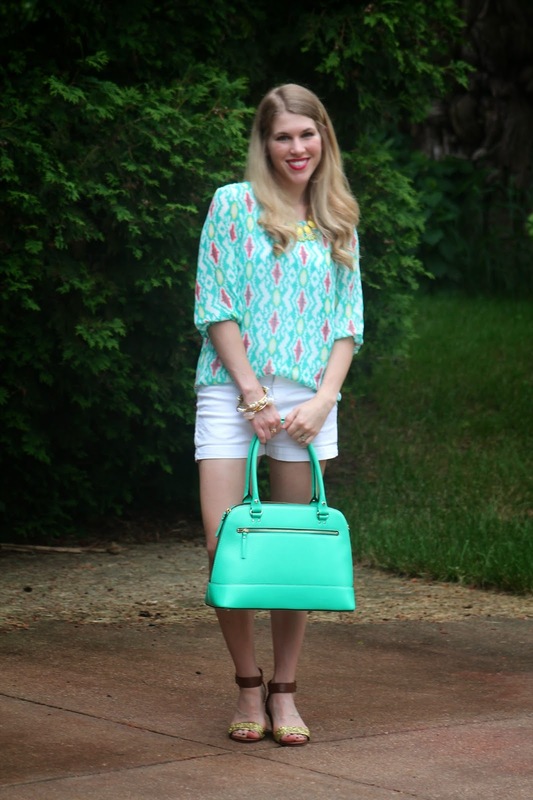 Mint is one of my favorite colors for the summer, and you styled everything perfectly! Can we talk about those killer shoes?!?!? Love them! I love the color of your outfit!!! It's screams summer !!!! Beautiful and Summery pieces. Love the mint and teal together. Very pretty! Love these colors on you. You look so pretty in mint! I shall put on my mint blouse again. Oh how fun! Good luck in your giveaway...sounds like a fabulous collaboration! :) Anyway, despite the fogged up lens, I can still tell that this is a great outfit! I just love the color of your purse...it's the perfect shade of minty-green! And I love how you paired that color with your lipstick color. I don't have twitter either so just enter the ones you can! :) You don't have to do all of them! Thank you Olivia! It's such a fun color for a bag! I love carrying it! I love the colors in your outfit! I'm drooling over your Kate Spade bag. So gorgeous Laura! 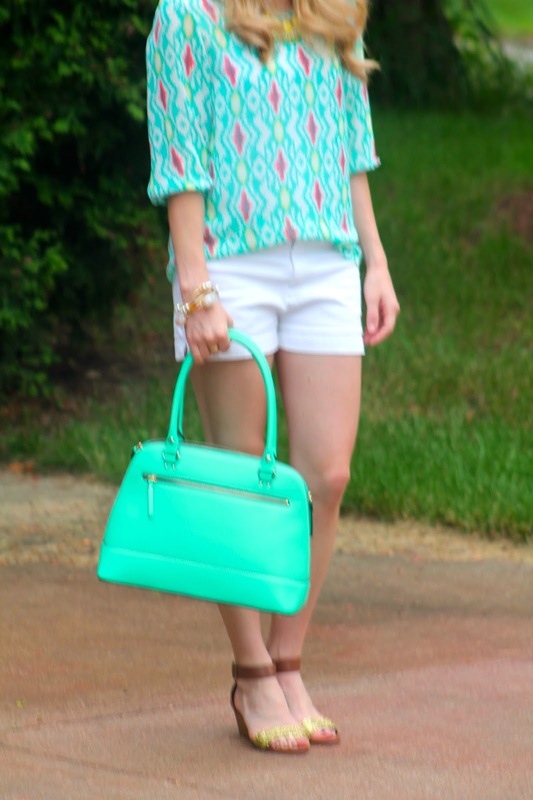 Love the color of the shirt and the bag that matches! I just adore this look! It's fabulous. I love a great pop of colour and that bag is stunning. I thought I was the only one that had the fogging up the lens action going on. The humidity can be a bummer sometimes. LOL!! I love this look on you but then again I love all the looks you rock. That top looks so good on you! !